Renesmee Cullen. 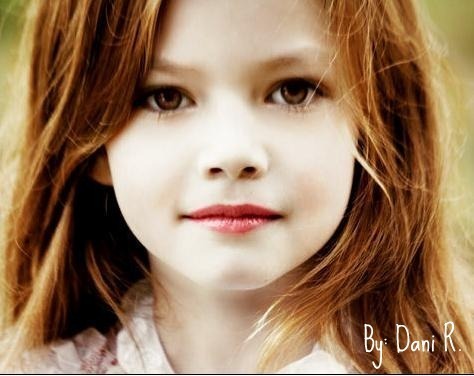 Mackenzie Foy as Renesmee. Wallpaper and background images in the renesmee carlie cullen club tagged: renesmee carlie cullen renesmee nessie cullen carlie twilight renesmme carlie cullen. OMG! You can't imagine how much she looks like my little sis! They could've be twins! Poor little girl, Mackenzie is so cute. I saw her in FlashForward and now I can't believe she ruined her career. @SickMuse,how could she ruin her career? WAAAA!!!!!!!!!!!!!!!!!! GET BACK ON YOUR CAREER KENZIE!!!!!!!!!!!!! How did she ruin her career?